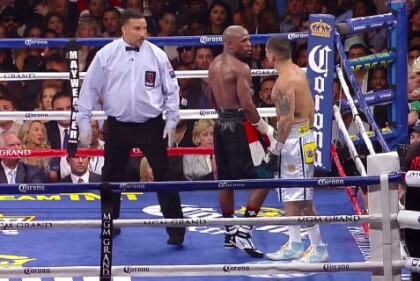 By Danny Esch: In a previous article that I wrote here on BN24 “The Blueprint to beating Floyd Mayweather 2nd Opinion” I quoted a statement from Adrien Broner and in a few comments I was told that I was being “Racist”. The quote in question was from Adrien Brown after his fight with Taylor post fight in the ring and the question was asked from Showtime’s Jim Grey: “Was he (Taylor) tougher than what you expected?” Adrien Broner’s response was “OH NO no disrespects to you Jim but he’s (Taylor) an African American I KNEW HE WAS GOING TO BE TOUGH”! The whole Keith Thurman Mandatory issue is old news now and Thurman has a fight coming up against undefeated European Welterweight Champion Leonard Bandu instead of Devon Alexander. Devon Alexander has gone on record via 78SPORTSTV to prove that he did want the fight with Keith Thurman but was NEVER offered the fight as well as Keith Thurman who also went on record saying in a separate interview that he did ask for a Devon Alexander fight at the end of this year but was also never sent the offer. These two fighters cleared up the rumors about each other possibly ducking but that waS NOT THE CASE. Devon Alexander was then asked why he was not offered a Mayweather fight when he beat Marcos Maidana convincingly and Maidana was able to secure two fights. Devon Alexander “Me Personally Floyd looks at a fighter who is going to pose the less threat to him you know and I did my homework and I have searched every Black fighter Floyd has faced and they all gave him some what of trouble Shane Hurt him, Chop Chop Corley hurt him”. This is the point I was making that Manny Pacquiao is not the only fighter that Floyd Mayweather has “avoided” and not necessarily out of fear but of “greater risk” to reward. Devon Alexander believes Black fighters are slicker and make Floyd Mayweather “think” more when he is in the ring against them and Latin fighters are more aggressive and “flat footed”. Devon Alexander went on to mention in the interview that Zab Judah gave Floyd problems in the beginning of their fight and Shane Mosley also gave Floyd trouble in the beginning and he landed a major shot against Floyd. I have also done some homework of strictly current “Black Fighters” that Floyd Mayweather has NEVER fought and some have held a belt which means they did something right to rise and climb the ranks to get a chance to fight Floyd Mayweather just because he holds the belts and according to the rules for “Belt Holders” for WBC, WBA, IBF, WBO the PPV buys and popularity” are not the criteria for a shot at the title. « James DeGale, going nowhere fast.